Hey have you heard the news? It is not very often the newspapers and television studios beat my blog in bring you our latest achievements but this time they did. I have been so busy with everything biochar that this is the first chance I have had to write about our excellent achievement. So you know biochar project is about biochar and you know biochar Industries is about setting up sustainable biochar industries but did you know when we say we are going to do the job we do it right? So right in fact that we have taken out the United Nations Millenium Award 2011 / 2012 Australian node. This award is for our work in creating a new (P)edagogy (or underlying structure for learning) for the sustainable biochar industries we are busy setting up. Here is the text from the Awards Letter I received on behalf of the biochar project / Castle on the hill / Science art research centre and Gaea Films. This letter is to indicate that your* Biochar Project with its components (Biochar Development group, Biochar Action Learning Circles and Biochar Adult and Community Learning engagement inc. Community Learning Centre – Castle on the Hill and Gaia Films with source Biochar text author Paul Taylor as resource) has been awarded the Millennium Project Australasian Node Award 2011-2012. The aim of the award is to recognise genuinely future oriented organisations that embrace the Millennium Project’s (MP) Global Challenges (GC) and engage in innovative projects to address multiple key GC’s while facilitating the work of the Australian node. Key criteria for selection for the award are whole of organisation commitment to the principal intergenerational and inclusive focus of the MP as well as addressing largely or in part the relevant 15 GC’s (see list and explanation below). Recipients can be individuals, organisations or groups. Please see below for details of the Millennium Project and its aims and a detailed list of the 15 Global Challenges. In your submission, as the chair of this initiative, you have detailed the links between the Biochar Action Learning Circles and the MP’s 15 Global Challenges (see below), in particular Global Challenges re. sustainability (GC1), clean water (GC2), and in part sustainable energy (GC13) and ethical markets (GC7) are included and addressed in your project (these links are detailed below). Each year between 1-3 awards are granted Australia wide. The Biochar Action Learning Circles Project includes, the Biochar Project as auspice Dolph Cooke and Gillian Tubbs, Biochar Action Learning Circles – Action Learning Circle Manual ~ Kids and Adults Learning – Paul and Annette Wildman, the Biochar Revolution – Learning Circle resource book ~ Paul and Renate Taylor, Gaia Films – documentary on the launch of the Learning Circles ~ Paul Tait and Jenny Kendell Gaia Films, Learning Centre of the Science Art Research Centre – site for the filming of the documentary and promotion of the Learning Circles ~ Irene Brown and Robert Pope. On behalf of the Node Chair Anita Kelleher and the node awards committee I congratulate you on your group’s achieving the 20011-12 Millennium Project Australasian Node award of recognition. Backgrounding The Millennium Project: www.stateofthefuture.org The MP was founded in 1996 after a three-year feasibility study. Originally it was sponsored by the United Nations University, Smithsonian Institution, Futures Group International, & the American Council for the UNU. It is now an independent non-profit global participatory futures research think tank of futurists, scholars, business planners, & policy makers who work for international organizations, governments, corporations, NGOs, & universities. The Millennium Project manages a coherent & cumulative process that collects & assesses judgments from over 2,500 people since the beginning of the project selected by its 33 Nodes around the world. The work is distilled in its annual ‘State of the Future’, ‘Futures Research Methodology’ series, & special studies. The Project was initiated by the Smithsonian Institution, The Futures Group International, and the United Nations University (UNU). It was created through a three-year feasibility study funded by the U.S. EPA, UNDP, and UNESCO, in which participated over 200 futurists and scholars from about 50 countries. Phase 1 of the feasibility study began in 1992 with funding from U.S. EPA to identify and link futurists and scholars around the world to create the initial design of the Project and conduct a first test on population and environmental issues. In 1993/94 during Phase II, a series of reports were created on futures research methodology and long-range issues important to Africa, funded by UNDP. Phase III, conducted in 1994/95 under the auspices of the UNU/WIDER and funded by UNESCO concluded with the final feasibility study report. Today, the Project accomplishes its mandate by connecting individuals and institutions around the world to collaborate on research to address important global challenges (also please see the list below). Since 1996, about 2,500 futurists, scholars, decision makers, and business planners from over 50 countries contributed with their views to the Millennium Project research. The project is not a one-time study of the future, but provides an on-going capacity as a geographically and institutionally dispersed think tank. It was selected among the 100 Best Practices by UN Habitat, among best 7 foresight organizations by US Office of Energy, eleven of the thirteen annual State of the Future reports were selected by Future Survey as among the year’s best books on the future, and the international journal Technological Forecasting & Social Change dedicates several entire issues to the annual State of the Future Report. GC 1: How can sustainable development be achieved for all? GC 2: How can everyone have sufficient fresh water without conflict? GC 3: How can global population and resources be brought into balance? GC 4: How can genuine democracy emerge from authoritarian regimes? GC 5: How can policy making be made more sensitive to global long-term perspectives? GC 6: How can the global convergence of information and communications technologies work for everyone? GC 7: How can ethical market economies be encouraged to help reduce the gap between rich and poor? GC 8: How can the threat of new and re-emerging diseases and immune micro-organisms be reduced? GC 11: How can the changing status of women help improve the human condition? GC 12: How can trans-national organised crime networks be stopped from becoming more powerful and sophisticated global enterprises? GC 13: How can energy demands be met safely and efficiently? GC 14: How can scientific and technological breakthroughs be accelerated to improve the human condition? GC 15: How can ethical considerations become more routinely incorporated into global decisions? From your submission I note the alignment of the Biochar Project Community Learning and outreach project and the Millennium Projects Global Challenges: In particular the project seeks to engage Global Challenges Nos1 (GC1) – Sustainable Development inc. carbon sequestration, and to a lesser extent in seeking to establish right livelihood small businesses around Biochar as part of the economic base of the Northern Rivers Region NSW it also engages GC7 (Ethical Market Economies). Further the Biochar project also is experimenting with Biochar as a water filter for helping to provide clean water, GC2 (Sufficient Clean Water) the Biochar can then be 100% recycled as fertilizer for one’s garden – it’s even like having a coral reef in one’s garden – as the Biochar harbours positive microbes etc. which surrounding bugs etc. feed on much like a coral reef, & if undertaken properly Biochar can even help provide some energy GC13 (Sustainable Energy). The Biochar Project: www.biocharproject.org is a living evolving resource with the sole purpose of enlightening people to the exciting future of Biochar & its beneficial environmental potential. It is one family’s journey to discover themselves & the beautiful land they were born in with the sole intention of sharing this wonderful discovery that is Biological charcoal. Their passion for this ancient technology will see them gain many new friends who all have the common good of the planet as a special bond with each other as we teach learn and do many new things. This journey is about living and as a reader of the website you will learn so many things about Biochar, man, nature. You will feel excited and will want to be part of the action. I implore you to look us up now and become part of our journey, send us your questions and answers and help us help the world with Biochar. Biochar Action Learning Circles: And in undertaking Learning Circles [see Wildman (2011)], and public Not For Profit public addresses [see Wildman (2011), Taylor, Wildman and Cooke (2011) and Taylor (2010)], the Biochar Project helps embed these responses to the Global Problematique through Biochar in a small local democratic system that aims to improve the human condition through applied scientific and technological breakthroughs (GC14, GC4 Improving the Human Condition, The Emergence of Democracy). Taylor, P., Ed. (2010). The Biochar Revolution: Transforming Agriculture and Environment. Victoria – Australia: Global Publishing Group. 364pgs. Taylor, P., Wildman, P. and D. Cooke. (2011). Biochar Seminar: Workshop and Lectures. Paul Taylor: Describes and demonstrates fully the process of creating quality Biochar and its agriculture and planetary benefits. Paul Wildman follows and contextualised Dr. Taylors first address viz. PW’s address ‘Designing a resilient Community Economy Incorporating Biochar’. Dolph Cooke speaks on Australian Biochar Industries within Paul W’s address. Uki, Castle on the Hill Learning Centre – Science Art Research Centre. 3hrs- DVD – presentation 03-04-2011. Gaia Films. Wildman, P. (2011). BioChar Action Learning Circles: toward a future Nature can live with. Action Learning Circles based on Paul Taylor’s The BioChar Revolution book (2010). P. Wildman. Brisbane: The Kalgrove Institute, with Topic Guides – 40pgs. The Biochar Revolution: http://biochar-books.com/The_Biochar_Revolution Black is the new Green…… Resource Text. 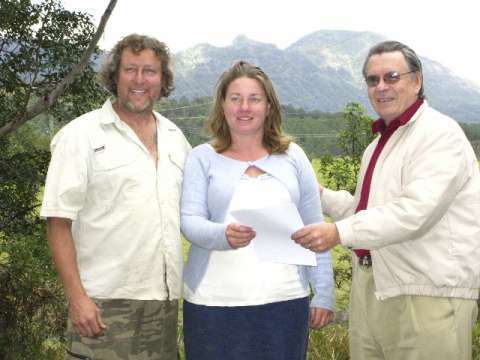 Gaia Films was set up in 1985 by two experienced film makers Jeni Kendell and Paul Tait with the resolution to only produce product that would further the overall benefit of the Planet and its people. To this end GF has produced many films that have presented the worldwide plight of rainforest and indigenous peoples and also ethnographic film of our own unique community of Nimbin. In the last 25 years Gaia Films has won many international and Australian documentary and cinematography awards, and in particular a Human Rights Australia award for ‘Blowpipes and Bulldozers’ about the Penan people of Borneo. At present the group is producing a film that examines Australian Government policy around the Aboriginal Stolen Children which discusses the charge of genocide that some people consider this policy to have promoted. GF also has documented many cutting edge presentations including Biochar, quantum physics, alternative medicine and agriculture. Many of these presentations have been filmed in conjunction with the Castle on the Hill Learning Centre at Uki. NB: the project nomination came from the Node Chair Anita Kellehur. Dr. Wildman was not part of the Award submission group from the Biochar project. Further Dr. Wildman notified the Awards committee of the potential conflict of interest. Certainly there is a synergy of interest in this regard. Congratulations! Recognition is a sure sign that you are doing things right. The quicker the world recognizes the benefits of bio-char the better! The governments here (Canada) are starting to get the message and are handing out grants, admittedly small, but this is a start. All we need now are the multi-national companies that are the cause of most of the world’s problems to get the message too! Just imagine how much money they could make if they got the approval of the world if their products were based on benefits to humanity instead of just pleasing their shareholders. Thank you Ken for your excellent comment. What a great world it would be hey. Companies doing the best they can to make the inhabitants of this planet happy is certainly well in the realm of my future world. make biochar the environment can only benefit. Education is the key, lets spread the word. Thank you April. I agree with you sustainable needs to be factored right into any biochar operation. We down hear at biochar project sometimes go over board looking for the ultimate closed system to be the best we can be. 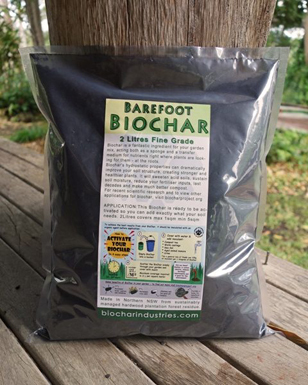 I feel nothing ventured nothing gained so sooner or later we will all be talking about sustainable Biochar as a way to fix up our worldly problems. Do you do any project perhaps we can interview you and feature you on our website? James Lovelock asked to make this website about climate change in accordance with the Sermon on the Mount. It results on page 28 and 29 in Biochar production and Climate Management. Have a look and publish about it when you like to do so. You can find more about me in “Who is Who in the world”. Our first impression about climate change came when we discovered that in 1974 Mount Trikora on Irian Jaya (Now West Papua) day ánd night had no more snow on its highest top. Previous post: Biochar test bed for spring at biochar project.